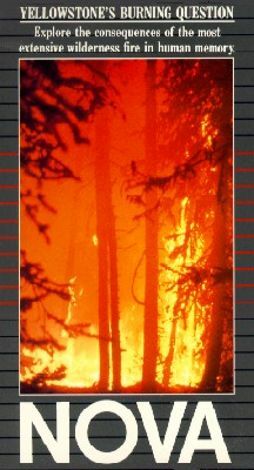 "The flames of the summer of 1988 did not destroy Yellowstone Park, for within the fires were cast the seeds of a new beginning." So thought many park officials when the tourist hotspot went up in flames. Nova documents the controversial let burn policy that affected over a million acres in Nova: Yellowstone's Burning Question. After the widespread fire, many thought the park would never recover. Surprisingly, nature has rebounded full force, leaving little doubt as to its regenerative power. Historically, fires have swept across the land frequently. The path they leave is rich in nutrients and energy. Many scientists think it is imperative to the ecological process. Nova visits the barren landscape of Yellowstone just as life begins again.